I actually did not like avocados or mangos until a few years ago. The texture of the avocado and sliminess of the mango freaked me out. 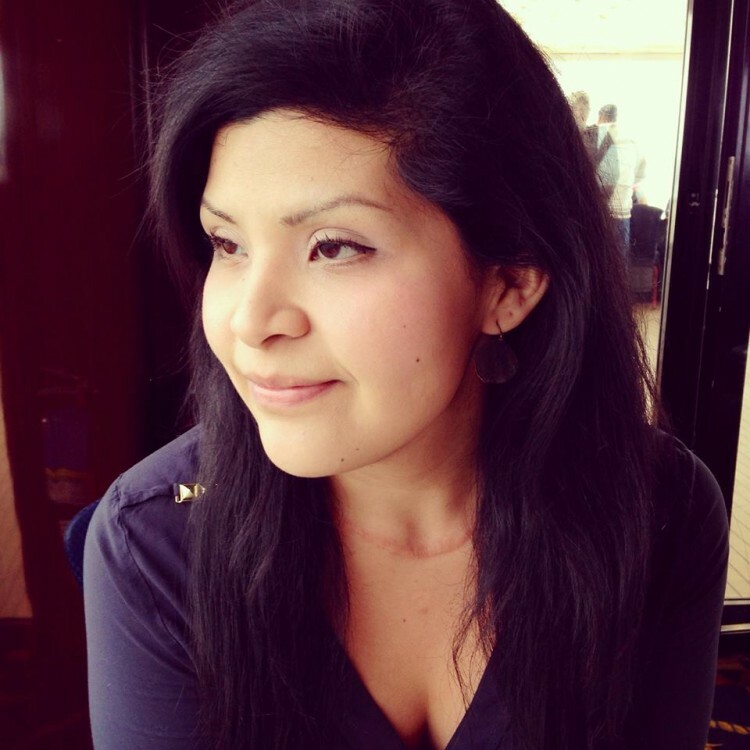 My history with avocado goes back to my thyroid cancer diagnosis and having to start the low iodine diet. My first time going on the low iodine diet was very difficult as I was being deprived of pretty much all the food I ate on a daily basis. I was forced to try different food to keep me full. My husband convinced me to try homemade guacamole with homemade corn tortilla chips and man, I was in heaven. Since then, avocados are always well stocked in our pantry. 1. Preheat oven to 350°F and line a baking sheet with a large piece of foil. 2. Drizzle the EVOO on the foil and place the tilapia fillets on top. Season the top of the tilapia with salt, pepper, cayenne and lime. 3. Cover the tilapia by folding the foil over on all sides, you might need an extra sheet of foil to cover entirely (this keeps the tilapia moist). Bake in the oven for 15 minutes. 4. 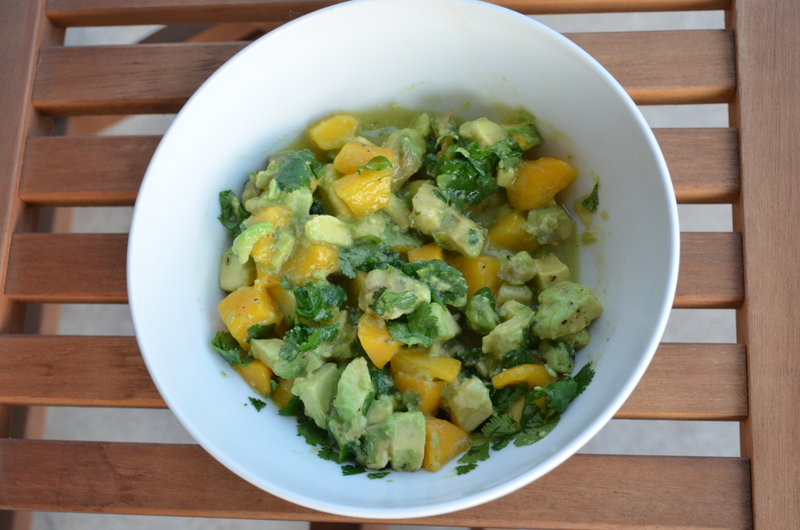 While the tilapia is baking, peel and dice the avocado and mango and roughly chop the cilantro and place in a bowl. Add the lime juice, salt and pepper and carefully combine everything. Put in the refrigerator until ready to serve. 5. After the tilapia has baked for 15 minutes, turn the oven to broil and cook for an additional 5 minutes. 6. Remove tilapia from oven and let cool for 5 minutes before serving. 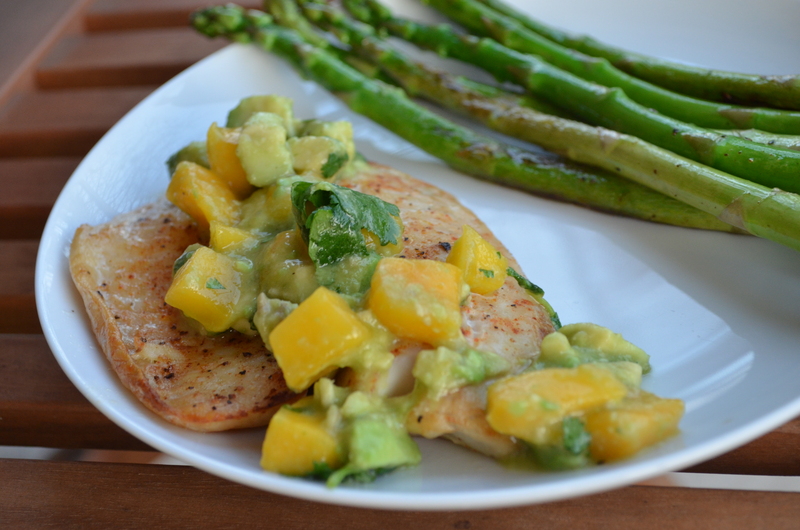 Pour mango avocado salsa on top or on the side of tilapia fillets. This tilapia goes great with a side of sautéed asparagus or a spinach salad. Enjoy!